Help me to stand on my own feet, eat by myself, dress by myself, take a pen or a book in my hand. Or to go for a walk. I wish no more. My name is Jacek. Since birth I have suffered from infantile cerebral palsy to a degree doctors consider severe. The symptoms of my condition are spasticity of all limbs, loss of balance, involuntary movements, and impediment of speech. As a result, I’m unable to do anything for myself. The worst thing is that I’m completely normal mentally and fully aware of my condition, still I can do nothing to change it. I graduated from secondary school with honours, but so what? I am very well computer-literate (I passed ECDL), but so what? I am quite good at chess and I have many interests just like any normal healthy guy, but so what? The fact is that physically I am as helpless as a baby. In November 2012 I had an operation of instilling the stimulus to the left hemisphere of the brain. It is supposed to help me bring under control involuntary and dystonic movements. In the near future I will be facing the second operation like that to the right hemisphere. Unfortunately, if only they brought the expected effect, then a long and expensive rehabilitation will be necessary at special rehabilitation centers . To name just a few among others the Andrasa Institute the part of Petö in Budapest. It is famous worldwide from the best quality and effectiveness of the treatment with the so-called method of managed teaching. Most importantly, not only children, but also adults touched with cerebral palsy, i.e. the disease I suffer from can use this method. .Participation in a few rehabilitation batches at this Institute. is my dream. However in order to realize my dream I need several dozen thousand zlotys (the cost amount of one 6-weeks long batch is around 10 thousand PLN). I don’t have that much and I haven’t had any luck on the lottery, either. My only hope is you, People of Good Will. 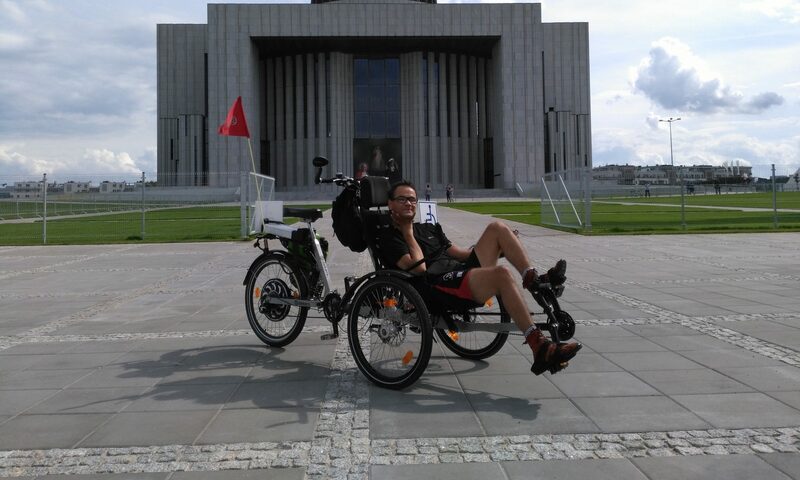 If you would like to support a desperate young man in his fight for health and independence, please make a contribution to „Pay It Forward” Foundation „Zdążyć z pomocą” in Warsaw. This is where I am collecting funds for these purposes .